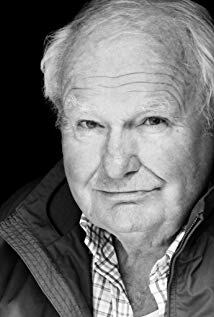 Shane Rimmer, a character actor who often played Americans in British-based productions and who appeared in three James Bond films, has died at 89. His death was reported by the Official Gerry Anderson Website. Rimmer was a voice on Anderson-produced shows, including Thunderbirds. The website said his death was confirmed by his widow, Sheila Rimmer. Shane Rimmer appeared in You Only Live Twice (1967), Diamonds Are Forever (1971) and The Spy Who Loved Me (1977). The latter provided the actor with his biggest 007 role, that of a U.S. submarine captain who assists Roger Moore’s James Bond. Rimmer was born in Toronto. After moving to the U.K., he became a busy actor. Besides his work for Anderson and the Bond films, his credits included Dr. Strangelove, Superman II and various television shows, including The Persuaders! In 2016, Rimmer did an interview where he reflected on working with Anderson, Dr. Strangelove director Stanley Kubrick and screen Bonds Sean Connery and Roger Moore. UPDATE: The official James Bond Twitter feed from Eon Productions also paid tribute to Rimmer. 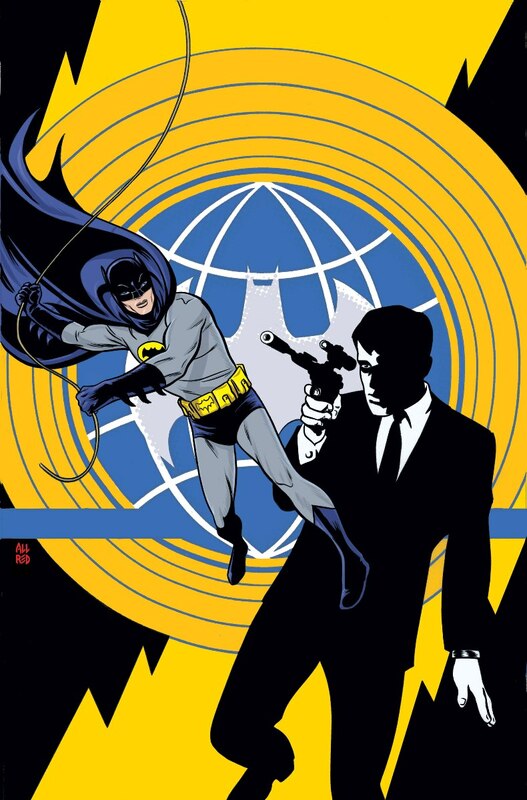 Image from Batman ’66 Meets The Man From U.N.C.L.E. On The Man From U.N.C.L.E., Thrush was never an acronym. But the notion that is is survives almost a half-century after the show ended its original run. We’ve referenced this before, but the idea of Thrush as an acronym was created by writer David McDaniel, author of a 1960s licensed U.N.C.L.E. 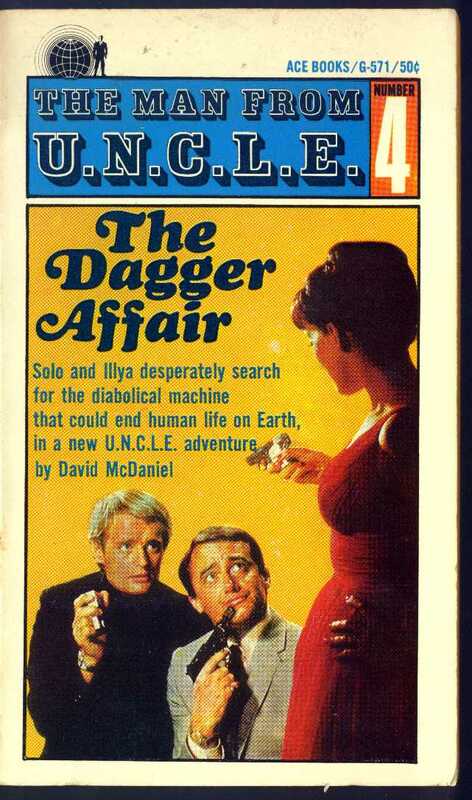 paperback, The Dagger Affair. McDaniel envisioned Thrush as having been created by Sherlock Holmes villain Professor Moriarty. McDaniel’s acronym had “Humanity” instead of “Humankind.” Regardless, it was very clever and McDaniel is credited by many U.N.C.L.E. fans as the best writer of the paperback tie-in novels. However, the 1964-68 series presented its own origin for Thrush in the second-season episode The Adriatic Express Affair. In that installment, written by Robert Hill, Madame Nemirovitch (Jessie Royce Landis) reveals herself to be the founder of Thrush. In real life, the production team had a devil of a time coming up with a name for the villainous organization. It was Thrush when the pilot was filmed in late 1963. But NBC, the network that ordered up the show, had its doubts. At one point, the name was going to be “Wasp.” In fact, in the movie version of the pilot, To Trap a Spy, “Wasp” was dubbed when actors said “Thrush.” However, Wasp was dropped, apparently in part, because the upcoming Gerry Anderson series Stringray was going to have W.A.S.P. being the organization of the heroes. Another U.N.C.L.E. possibility was MAGGOT. In fact, the first draft script of The Double Affair (which would be turned into the U.N.C.L.E. movie The Spy With My Face), dated May 1964, uses MAGGOT as the name. Eventually, everybody went back to Thrush. And so it stayed for the 105 episodes of the series, as well as the 29 episodes of the spinoff show The Girl From U.N.C.L.E. Still, over the years, the McDaniel version has won out even though it wasn’t official canon. When the legend becomes fact, print the legend, as the saying goes. 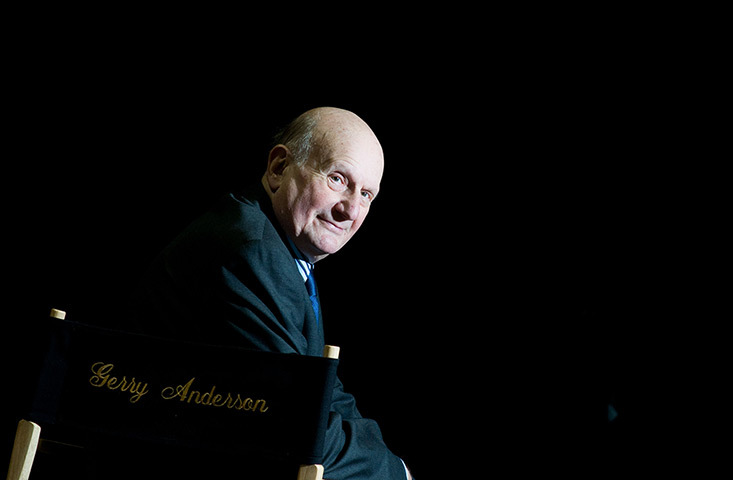 Gerry Anderson, the master of the Supermarionation universe of puppets and elaborate miniature flying (or submerged) vehicles, died Dec. 26 at the age of 83. His Supermarionation programs as well as some of his live-action television shows crossed paths from time to time with James Bond. Anderson’s children programs were produced in the U.K. and found their way to the U.S., often syndicated to local television stations. The specific situations varied but the likes of Supercar, Fireball XL-5, Stingray and Thunderbirds, among others, featured heroic characters with unusual names such as Mike Mercury, Steve Zodiac and Troy Tempest do battle with menaces of all kinds, whether they be on the surface of the Earth, under the oceans of Earth or in outer space. One of Anderson’s frequent collaborators was Derek Meddings, who provided the miniatures that were an important part of the Anderson shows, which frequently found their way into toy stores. When Meddings did the elaborate miniatures for 1977’s The Spy Who Loved Me and 1979’s Moonraker, Meddings was an old hand at providing an elaborate product on a budget. Anderson used actors with ties to the 007 film series to voice characters, including Lois Maxwell on Stringray (as Atlanta Shore, who pined for hero Troy Tempest, not unlike her Moneypenny role in the Bond films) and Shane Rimmer as one of the intrepid Tracy family that ran and operation International Rescue on Thunderbirds. What’s more, Anderson’s live action syndication UFO series starred Ed Bishop, who, like Rimmer, had small roles in You Only Live Twice and Diamonds Are Forever. UFO, while a science fiction show, had a touch of 1960s TV spy programs. It featured an organization called SHADO, whose mission was to combat invading hostile aliens. SHADO’s secret headquarters was underneath a movie studio. The SHADO logo evoked the logo of The Man From U.N.C.L.E. Could I ask you about your ‘lost’ version of Moonraker, which you lost through no fault of your own when Saltzman split with Broccoli? What was your vision for that film compared to what hit the screen in 1979? I never got to actually having a vision! What happened was that Harry Saltzman phoned me and said ‘Can you pop in? I’d like to see you’. I went in and he said ‘Gerry, I want you to produce the next Bond picture, Moonraker – here’s the book’. I nearly took off and went into orbit [laughs]! I just thought it was a marvellous, marvellous break. I read the book, which frankly wasn’t very exciting, and terribly out-of-date, as one would expect. I was initially trying to cement the deal, and at that time I would have put my thoughts together. What happened was that Tony Barwick – the late Tony Barwick, one of my favourite writers – and myself had written a synopsis. Harry had seen the synopsis and that was the reason he called me – he was fired by it. But a few weeks went by and then…just the worst bit of luck in my life, I think! It was announced that Harry Saltzman was parting company with Cubby Broccoli. And so the thing went down the tubes. According to ANDERSON’s BIOGRAPHY on Wikipedia.org, the Supermarionation producer started a Moonraker lawsuit but settled for 3,000 British pounds. To read more about Anderson, you can view his obituaries ON THE BBC’S WEB SITE and at THE DAILY MIRROR’S WEB SITE. Also, you can view THE ASSOCIATED PRESS’S OBIT VIA THE HUFFINGTON POST. UPDATE (Dec. 28). The Spy Vibe blog has a Gerry Anderson article that includes details about an episode of Thunderbirds very much inspired by 007. To read it, CLICK HERE. Admittedly, this post is barely related to James Bond. Anyway, in 2012, a big-screen version of Marvel Comics’ The Avengers is coming out. Over at YouTube, “whoiseyevan” has come up with a video of what a 1952 movie of The Avengers might look like. Bond fans will undoubtedly recognize a few clips, as would fans of The Avengers television show of the 1960s, Gerry Anderson’s ’60s programs and the extremely limited animated 1960s Marvel Super Heroes cartoons. Heck, fans of 1970’s Airport will probably notice. Here’s a related video that shows all the Marvel Comics references. We’ll also note that Nick Fury as presented here is a combination of Adolfo Celi (from Thunderball) and Lee Marvin (from The Dirty Dozen). And Alfred Newman’s theme from Airport shows up as well. For people of a certain age, memories of shows filmed in “Supermarionation” — elaborate puppet shows produced by Gerry Anderson — still bring a smile. The various programs, which include Supercar, Fireball XL-5, Stingray and Thunderbirds — had science fiction plotlines and lots of vehicles, from flying cars to rocket ships of all sorts to fast-moving submarines. An even bigger success for Anderson, Meddings & Co. was 1965’s Thunderbirds, featuring the adventures of International Rescue, a mysterious outfit run by the (apparently very rich) Tracy family. Shane Rimmer, who appeared in three Bond films, including a decent-sized role as the captain of a U.S. submarine in The Spy Who Loved Me, was the voice of Scott Tracy, the pilot of Thunderbird 1.